Coldly calculating and remorseless, Clara Oakes has always been a bad’un. In a story that spans three continents we follow Clara from difficult child to destructive adult. But will these psychopathic traits be her downfall or her saving grace… or both? From her childhood gleefully trashing special occasions and spitefully breaking playmates’ toys, to adulthood skillfully manipulating other people for her own ends and driven by a lust for power, she was the worst kind of person. Family secrets were discovered and stored away for future leverage. Skills such as playing the clarinet were perfected, not only because she must be the best, but also as a tool to gain prestige and ultimately crush her opponents. At no point did she feel any sympathy for her victims. Altogether a nasty piece of work. But on the cusp of triumph Clara has a kind of epiphany and, although still self-motivated, her priorities change – slightly. 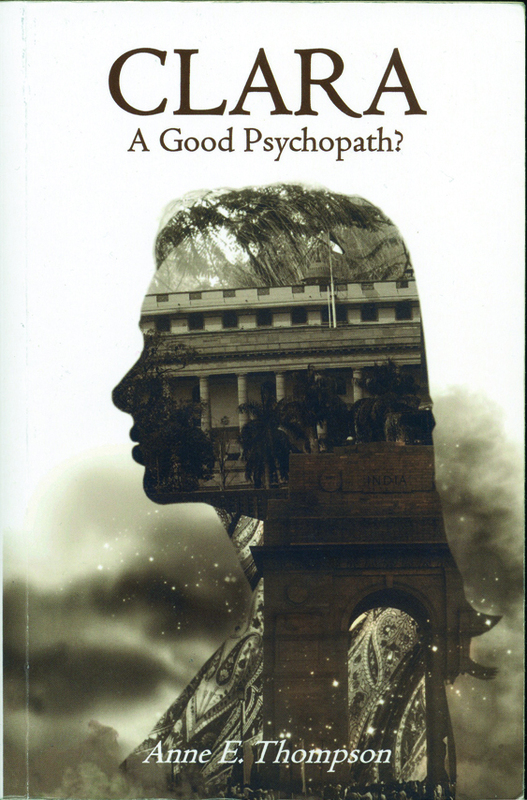 Could her psychopathy be a force for good? Her new drive takes her from buttoned-up middle-class England to the noisy smelly slums of India where, in the corrupt world of children-trafficking, she finally meets her match. I found myself fascinated – in the same way one can’t quite help but peer at an accident as one drives past – and, in spite of myself, occasionally rooting for this woman as she ran roughshod over family and friends, so well was she written. Writers of fiction need a keen imagination to bring their characters to life, but to write such a thoroughly despicable human being as Clara Oakes and then conveying her subtle evolution must have been quite a feat. Clara – A Good Psychopath? will have you glued to your seat and wondering at human nature. Available from bookshops and Amazon, in paper-back or Kindle. For information about Kent-based author Anne E. Thompson, her blog, other books, short stories and poems visit anneethompson.com.